In 1901 a remarkable heroine made her debut, in a book that purports to be her autobiography. If you took equal amounts of Becky Sharp, Cassandra Mortmain and Angel Devereaux, if you mixed them together, with verve and brio, and you might achieve a similar result, but you wouldn’t quite get there, because Sybylla Melvyn is a true one-off. But the most important thing about Sybylla, the thing that she doesn’t ever quite say, is that she wants to set her own path in life, to be mistress of her own destiny. That’s not easy when you’re the daughter of a poor farmer from Possum Gully. It was a hard life; you were either working or you were sleeping; there was nothing else. Her mother came from a good family and her father, a working man. had tried to improve his family’s situation, but he gambled and lost. And then he turned to drink. It was hardly surprising that Sybylla’s preoccupation with books, music and drama drove her poor mother to distraction. In the end she decided to send Syblla to her own mother on the family farm. It was a much bigger, much more prosperous farm, and it was much closer to society. Sybylla was in her element, with time to indulge her love for the arts and performing, and with an appreciative audience; her grandmother, aunt and uncle were amused and entertained. She blossomed, and her insecurity about her appearance and her disappointment with the world began to slip away. She might have gone to Sydney, to become a performer, guided by a family friend, lawyer Everard Grey. She might have married Harry Beecham, the owner of the neighbouring farm, who was well-off enough and indulgent enough to allow her the freedom to write her book. But she dithered, and as soon as anyone got to close she pushed them away. She still had insecurities, and she still wanted to be in charge of her own fate, and to dream her own dreams. But Sybylla’s fate wasn’t in her own hands; her father had taken out a loan and, in lieu of interest, he had given his daughter’s services as a governess. In a place so much poorer and starker than Possum Gully. She pleaded to be rescued, but she was stuck there. She tried to hold on but it was a struggle, and I think it would be fair to say that Sybylla was not cut out to be a governess. Sybylla’s story ended where it started – at Possum Gully. That sounds downbeat, but it wasn’t entirely, because she had lived and learned. As a story, ‘My Brilliant Career’ is much like it’s heroine; brilliant but infuriating. Because, of course, Sybylla is the story, and though the other characters are well drawn and the story is well told everything else is in her shadow. I had unanswered questions. Why was her mother quite so hard on her? How did Sybylla become quite so accomplished? And why did nobody ever really lose patience with her? But I loved following Sybylla’s journey, watching her grow up, and it was lovely to see her gaining a little tact and diplomacy, maturity even along the way. The writing is overblown and melodramatic, but it suits the heroine and it paints her world wonderfully well. And, best of all, it shows the restrictions that her gender and the times she lived placed on her, and it shows that none of that can break her spirit. It’s a coming of age story – no more and no less – but it’s a coming of age story like no other. 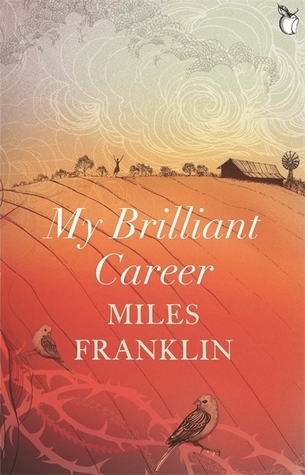 Miles Franklin wrote ‘My Brilliant Career’ when she was just sixteen years-old. It’s a wonderful achievement, and though she was upset that it was read as autobiographical, it’s unsurprising that it was taken that way. I suspect that there’s a grain of truth a vivid imagination has turned into a compelling story. You’ll have to read the sequel now – My Career Goes Bung! I have had that sitting here for yonks! One of these fine days…. Our book club read this book a couple of years ago. We enjoyed it and I think we let some of the flaws go simply b/c the author was only 16 years old when she wrote it. I enjoyed your review of it. I didn’t realise that she wrote this book when she was 16! A wonderful accomplishment, I loved this book, it is such an inspiration and highlights aspects of that kind of life so well. 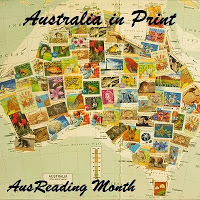 I’ve nominated this book for a group read on Goodreads – I really hope it gets picked. Though of course I can just read it for myself if it doesn’t. Your description of her as a mix of Becky Sharp, Cassandra Mortmain and Angel Devereaux is spot on! I loved this, but was disappointed with My Career Goes Bung. Excellent review, Jane. I read this quite some time ago and was amazed it was written by someone so young.